Magnolia (population 279) is located in southeastern Putnam County at the intersection of Il. Routes 18 and 89. The Little Sandy Creek runs by the northwest side of town. A town of reference in the area is LaSalle which is located 15 miles northeast of Magnolia. The town of Magnolia was the first permanent settlement in Putnam County. The school system in Magnolia was established in 1837. The first High School serving the children of the town was established in 1870. The brick school building was built in 1912. The State of Illinois recognized Magnolia Township High School as school district # 732 in 1916. 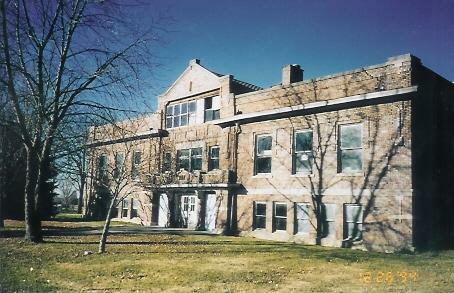 This School District served the students of Magnolia well until consolidation talks with nearby (McNabb) Swaney High School surfaced in the mid 1940s. 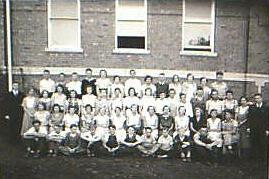 At first the Magnolia students attended Swaney High School on a trial basis beginning in 1946. In 1948 an official vote was taken by the residents of Magnolia and the consolidation/annexation of Magnolia High School was complete. Unfortunately no mention could be found regarding the athletic program at Magnolia Township High School on the IHSA web site (www.ihsa.org). It is a fact that MTHS offered boys basketball and was quite competitive in its area. Magnolia High School may have also offered track and baseball like many other small schools of its day. 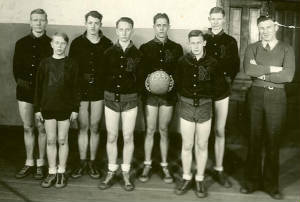 The Magnolia boys were known as tough competitors. Though no IHSA hardware was won, they had some very successful seasons. One game in particular is recognized by the IHSA and the National Federation Basketball Record Book. 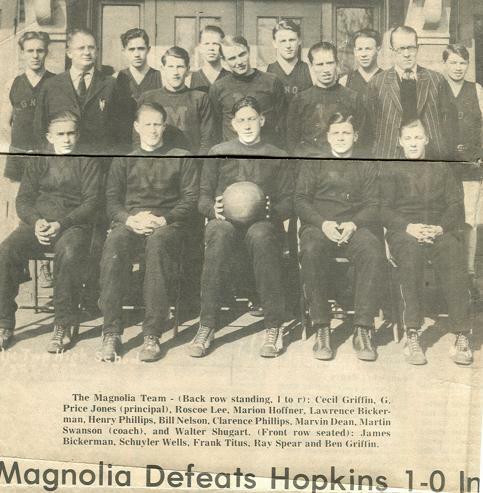 It was played on November 20, 1929 between the Magnolia and nearby (Granville) Hopkins High School. In a fierce defensive struggle, the Magnolia boys prevailed by a score of 1 - 0. You can see a photo and newpaper caption of that game below. One great player in Magnolia High School history was Richard B. Johnson. After completing a very successful high school career Mr. Johnson continued playing basketball in independent leagues in the area. He then served his country in the Army during World War II.